If you’re new to Windows 10 there’s something you need to change right away. By default Microsoft is using your PC to update other Windows 10 installations all over the Internet. Your copy of Windows 10 comes pre-programmed to act as a sort of server to deliver Bit-Torrent like P2P (peer-to-peer) uploads of Windows Updates that are already safely installed on your machine to countless people scattered all over the Internet that you don’t even know. While this sneaky, underhanded, deceitful and despicable practice saves Microsoft billions of Gigabites of server bandwidth, it undoubtedly slows down your computer. More importantly, it eats into your upload bandwidth which means it slows your Wi-Fi connection to the Internet. Fortunately you can change this horrible default behavior. 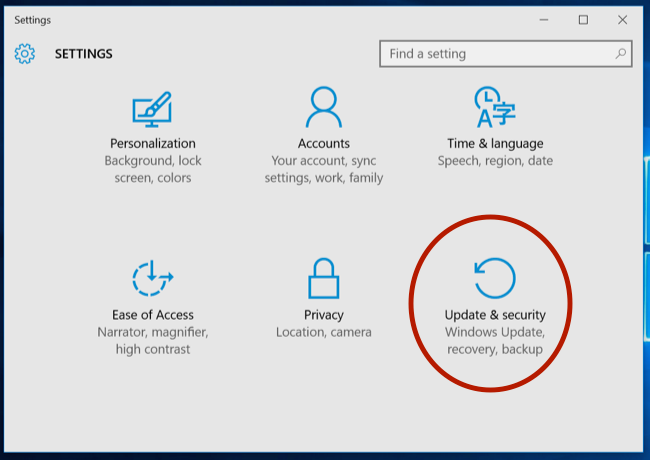 Open the Start Menu and click Settings and then click on Update & security. 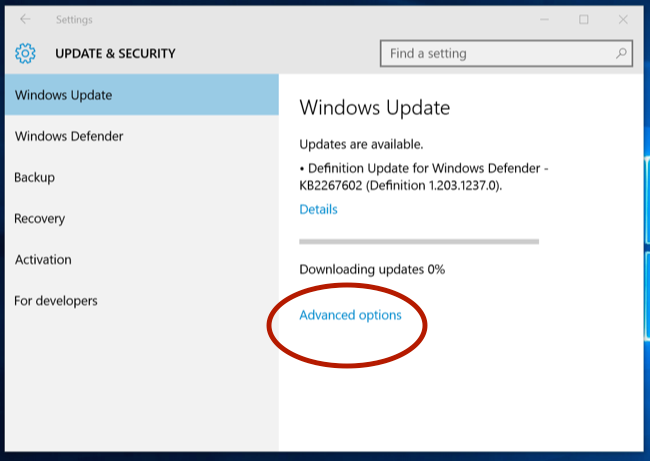 In the next window, with Windows Update highlighted in the upper left corner, click on Advanced options. 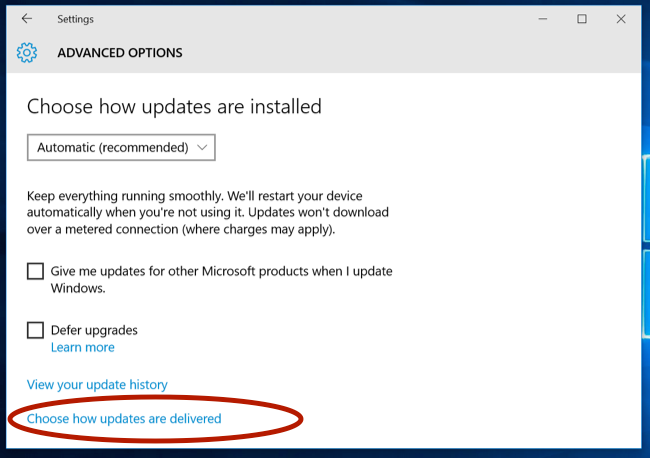 In the next window that appears, click on Choose how updates are delivered. Finally, you get to the window that lets you disable the option to have your PC act as a botnet host in Microsoft’s P2P Torrent scheme. 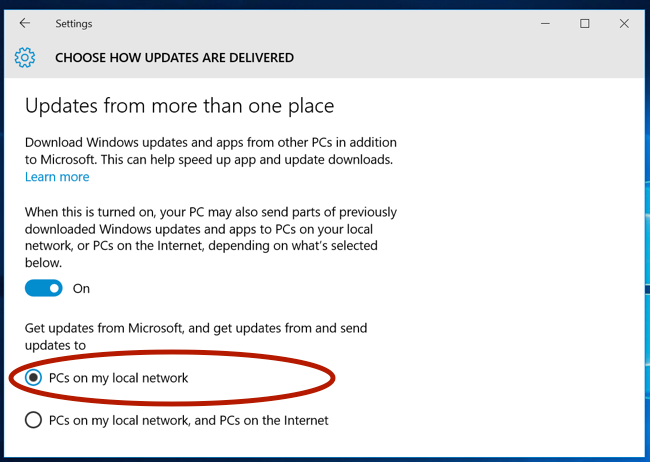 There’s nothing wrong with using Microsoft’s peer to peer uploading scheme to host the other PC’s on your Wi-Fi network so change it to that option or turn it off entirely and get your Windows updates the old-fashioned way. Just make sure you change from the default setting.